Back in 2014 the president said it would be a matter of hours. President Petro Poroshenko has apologized for promising a quick end to the antiterrorist operation (ATO) in Donbas in 2014. 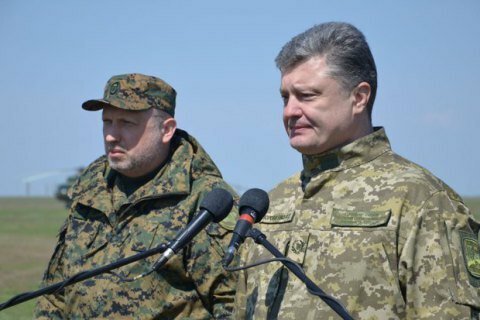 He was speaking at the solemn flag-raising ceremony in Dnipro, according to RBC-Ukraine.The president recalled that over four years ago he had promised the ATO would be over in a matter of hours, not months. "Now the context in which I said these words is not so important. The figurativeness of the statement is not important either. People took it as a chance to end the war very-very quickly. I regret allowing expectations to go too high. I sincerely apologise that I gave you hope that never came true. I regret having given a promise which has not been realized. I apologise for this," he said. The Donbas ATO lasted from April 2014 to April 2018. It was followed by the Joint Forces Operation. Soon after his election as president in 2014, Poroshenko said that the ATO would not last long but the incursion by Russian regular troops prevented the Ukrainian authorities from restoring control over the southern part of Donbas.